Hello, and welcome to the Rock Town Podcast. 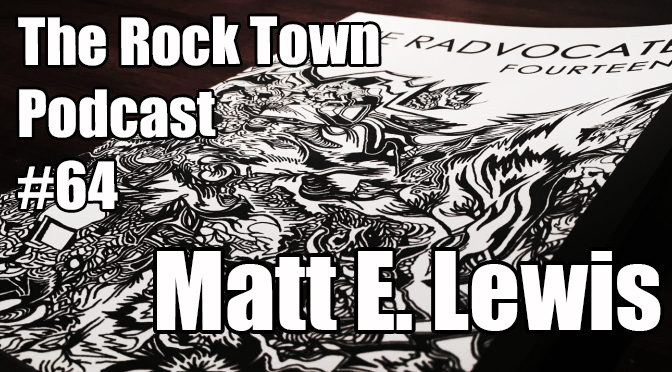 Matt Lewis is the founding editor of the zine-turned-literary journal, The Radvocate, which publishes poems, fiction, non-fiction, art, photography, and illustrations by bladers and non-bladers alike. A publication of So Say We All, a non-profit in San Diego, it recently released its 14th issue. Follow The Radvocate on Twitter and like their Facebook page so you don’t miss out on future releases and submission deadlines.